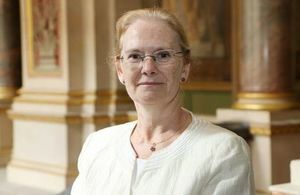 The British Ambassador to Switzerland and Liechtenstein, Jane Owen, sends a message to businesses regarding the UK's departure from the EU. Following the decision by the European Council to extend the date the UK will leave the EU to 31 October 2019, I wanted to write to thank you for your ongoing engagement, and to provide some contacts and links to support your business with the UK. Our economic and business ties are very strong and growing: bilateral trade is worth £30bn a year, with a reciprocal investment stock of almost £100bn. We are closely connected through supply chains and transport links, and strong research partnerships. Our people-to-people links drive successful business, with around 40,000 British nationals resident in Switzerland and 2,600 British frontier workers. We want to preserve and build on this success. Our changing relationship with the EU is obviously a part of that. For now, nothing changes. The UK will remain a member of the EU until 31 October, unless the Withdrawal Agreement is passed by Parliament before then, in which case we will leave on the first of the calendar month following that decision. We retain all of our rights and obligations as an EU member state during this time. Full details of all these agreements are available online. We also work closely with the British-Swiss Chamber of Commerce (BSCC), which supports 500 members in Switzerland, Liechtenstein and the UK. You can contact Caroline Rosenberger (Membership Director) for further information ( caroline.rosenberger@bscc.co.uk ). Please stay in touch and share your ideas on how we can work more closely together.